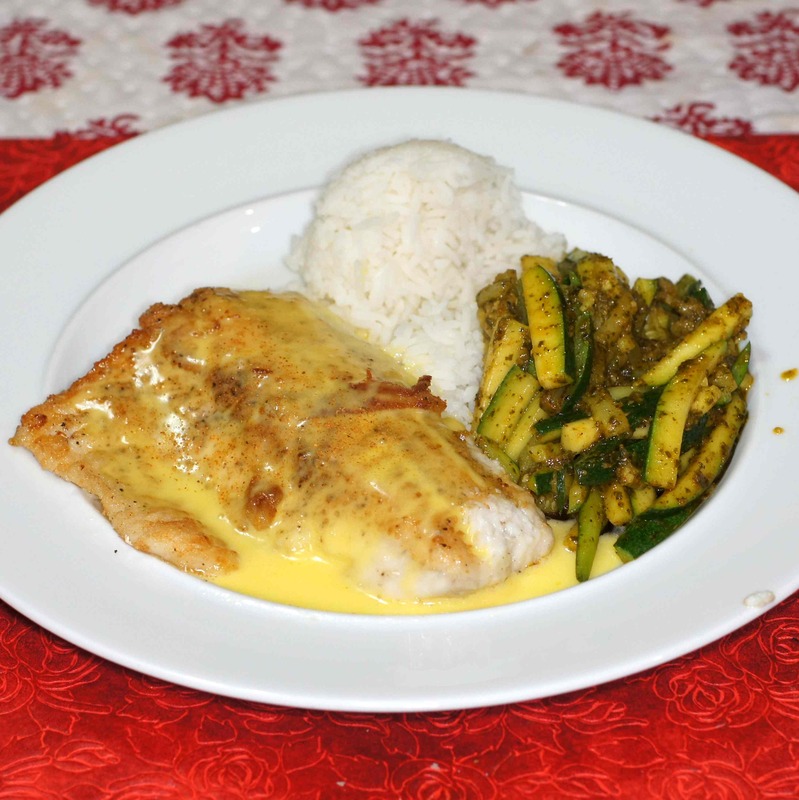 Today we bring you a beautiful pan fried walleye topped with hollandaise sauce and charmoula zucchini on the side. It’s a remarkably simple yet flavorful, perfectly balanced dish that is ideal for weeknight meals. Let’s face it, you want some, don’t you? For those of you unfamiliar with walleye, it’s one of my favorite fish. It’s a freshwater fish native to Canada and the Northern United States. Most commercial fisheries are found in the Canadian waters of the Great Lakes. It also is a very popular game fish that grows as large as 31 inches in length and 20 lbs in weight although commercially it is usually harvested between 1 and 3 pounds. Because it is a game fish the various states regulate the harvesting of walleye and they cannot be harvested unless the walleye is at least 15 inches in length. 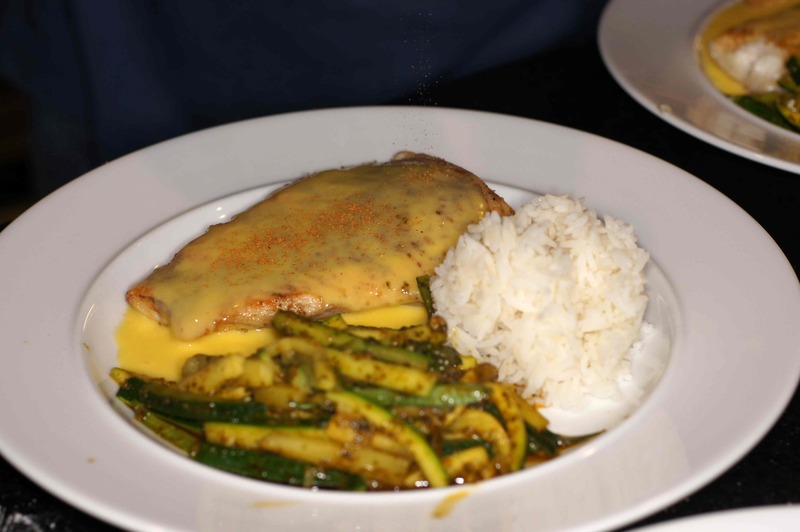 Walleye are also called Yellow Pike and Walleye Pike, however, it’s not a pike. In fact, walleye belongs to the perch family and is the largest member of that family. It has an olive back with gold sides, a white belly, black strips on the upper sides and a white dot on the tail fin. 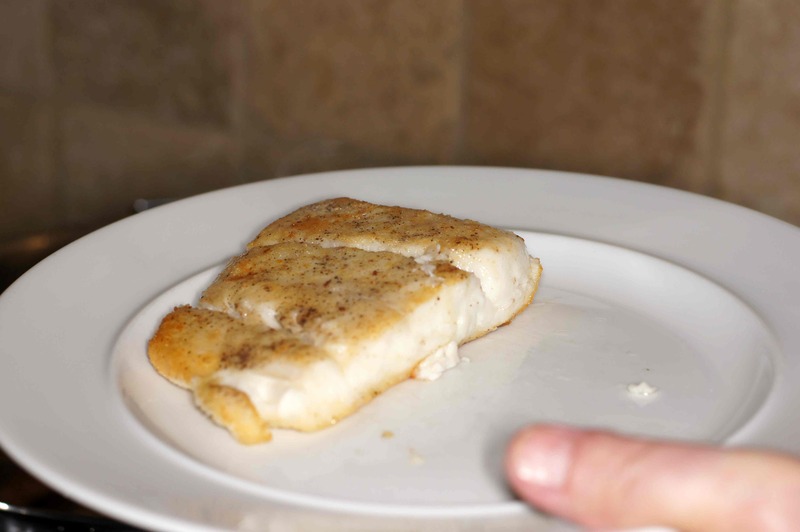 Walleye has a sweet, mild flavor with a fine flake and is highly regarded in most culinary communities. 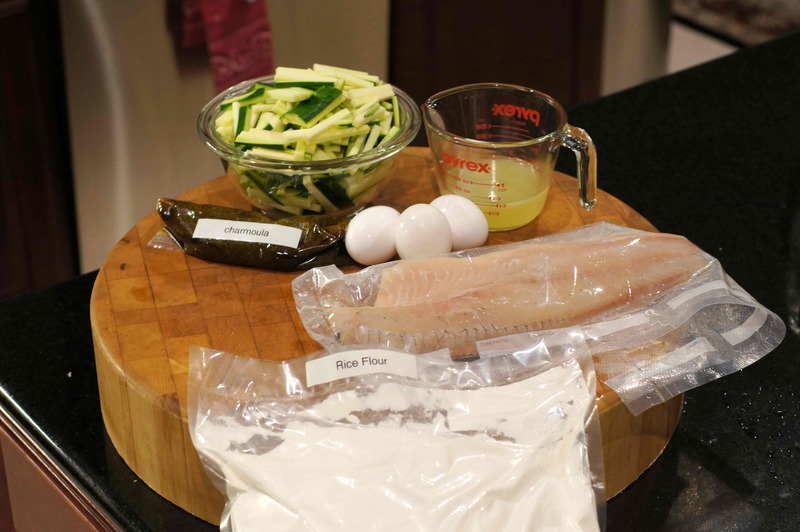 It is quite versatile, can be cooked using most methods and prepared similarly to sole, flounder and other flatfishes. Given it’s versatility, I decided to to a pan fried walleye in clarified butter. Inasmuch as I was going to make clarified butter, then a hollandaise sauce was in order. Then I remembered the charmoula in the freezer and knew it would be perfect with zucchini and we would have a Mediterranean style meal. It was absolutely delicious and this is what we did. 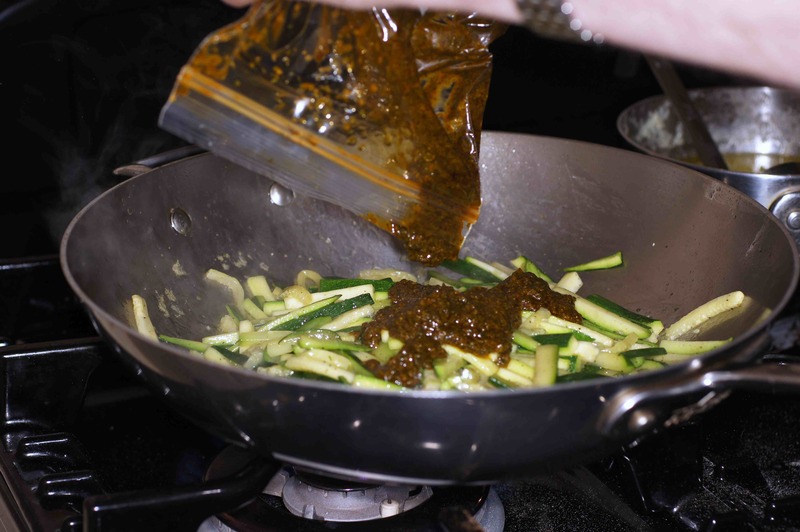 First things, first – clarify the butter. I don’t make clarified butter very often but I always enjoy it when I do because it has so many uses. 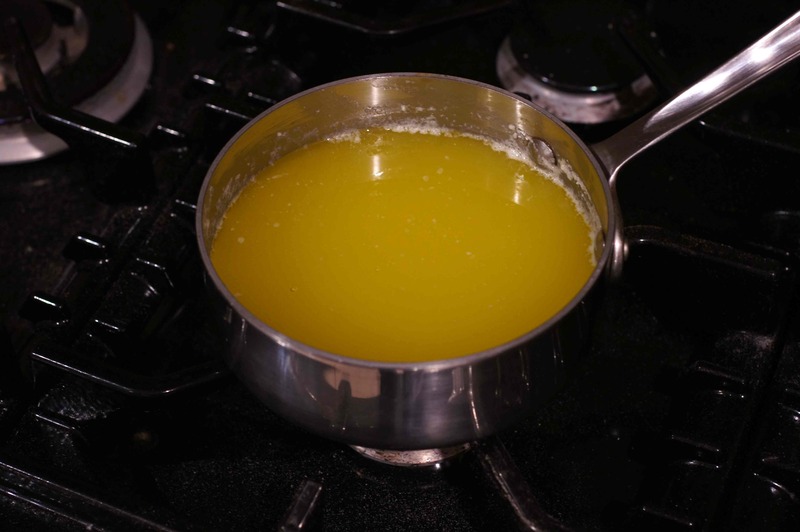 All that is involved in making clarified butter is melting the butter and separating the butter fat from the milk solids. So, place 1 lb. of butter in a sauce pan over medium-low heat. Melt the butter slowly without disturbing. When melted you will have 3 layers. The top layer is foamy and is a part of the milk solids that rose to the top. 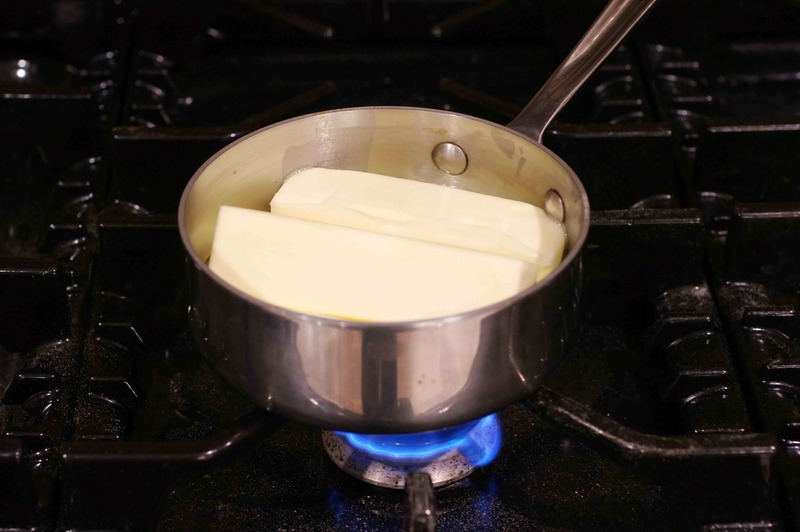 The next layer and layer with the largest volume is the butter fat. The bottom layer is water along with the remaining milk solids. When completely melted turn off heat. In clarifying the butter, you want the butter fat. So skim off the foam. See the butter fat under the foam? If you are going to use the clarified butter later, then using a ladle, carefully ladle off the butter fat from the remaining milk solids. Refrigerate and use as needed. 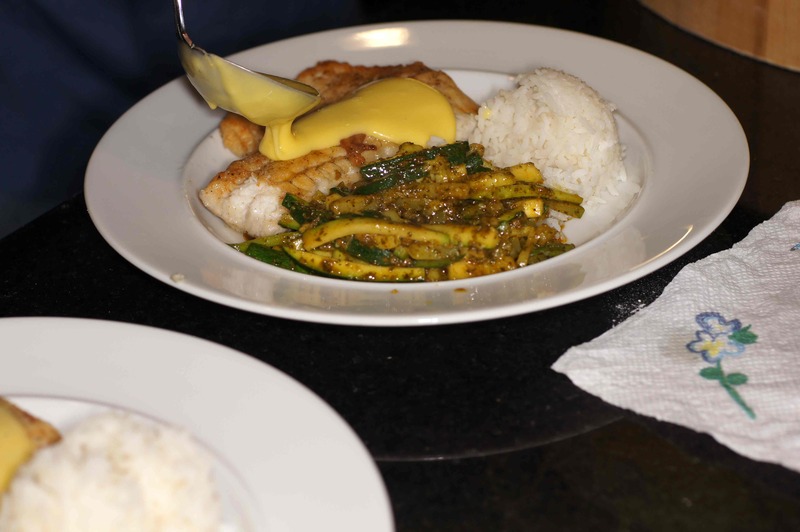 Inasmuch as I was going to use the clarified butter for hollandaise sauce with the fish, I simply kept the clarified butter in a warm area to keep it from congealing. 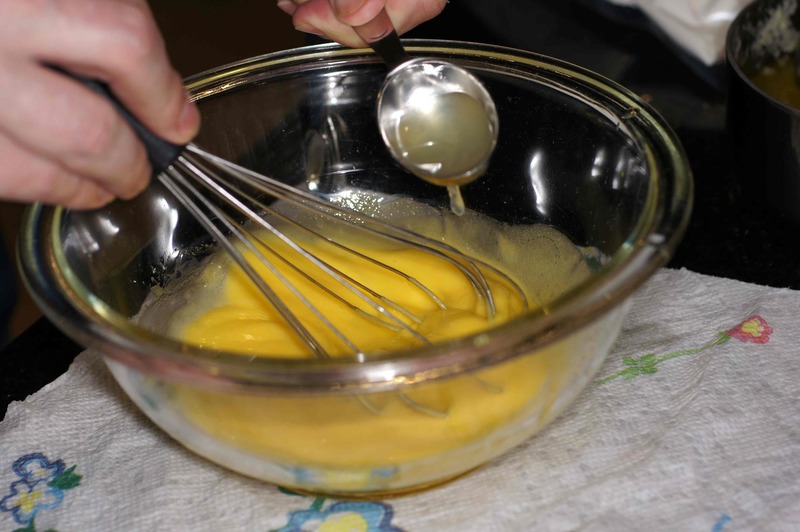 Now, many people make hollandaise sauce in a blender because it is quick and easy. 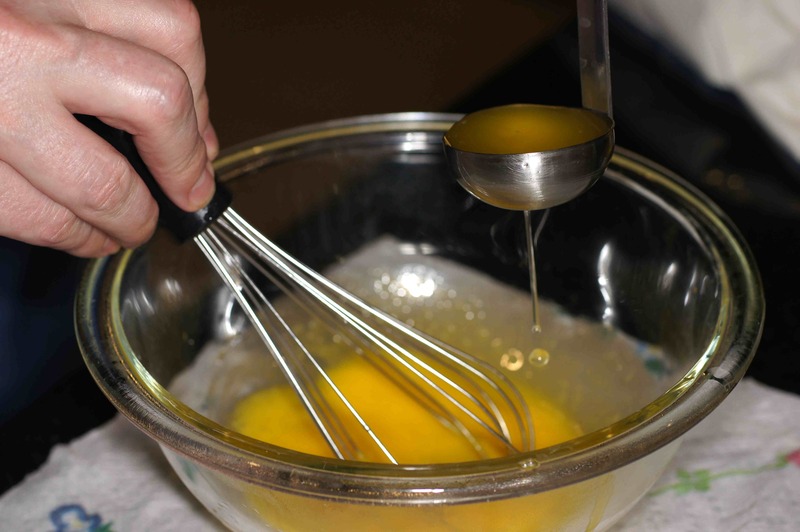 I gently cook the yolks and whisk in the butter and lemon juice. 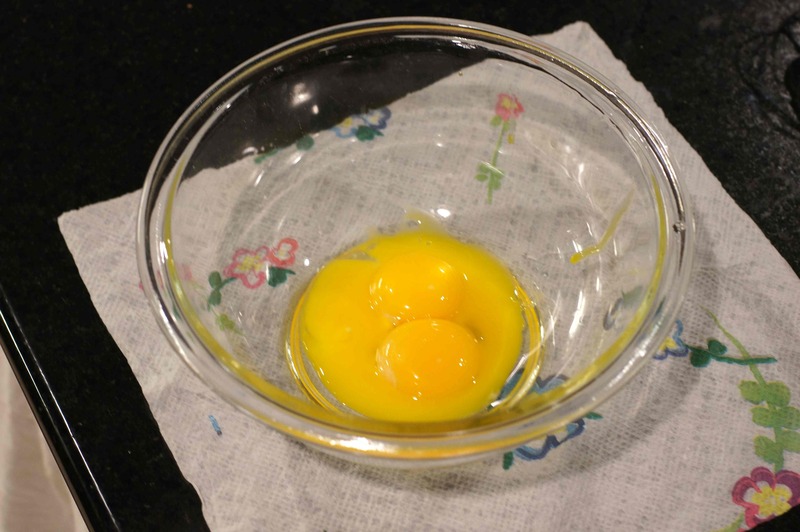 So, separate 3 eggs and put the yolks into a small mixing bowl. Heat a pot of water over high heat. Do NOT bring the water to a boil. 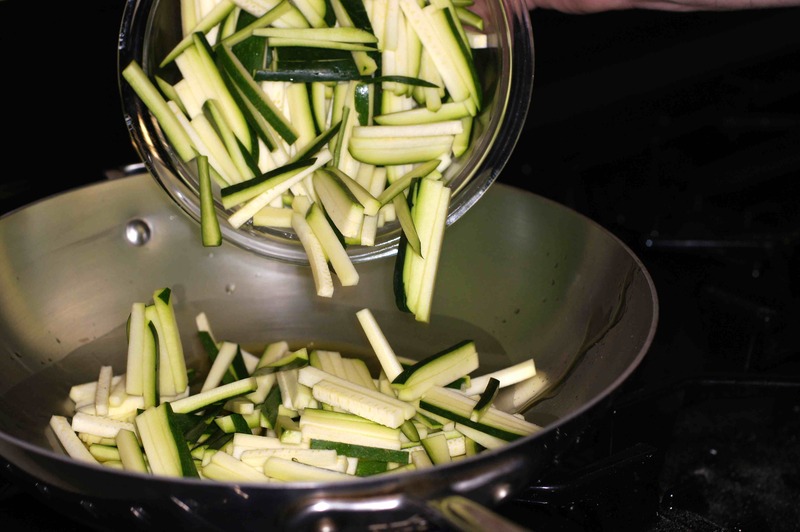 Some recipes will tell you to bring the water to a simmer and pace the bowl over the water but not into it. If you’re doing this for the first time, I would recommend that approach. 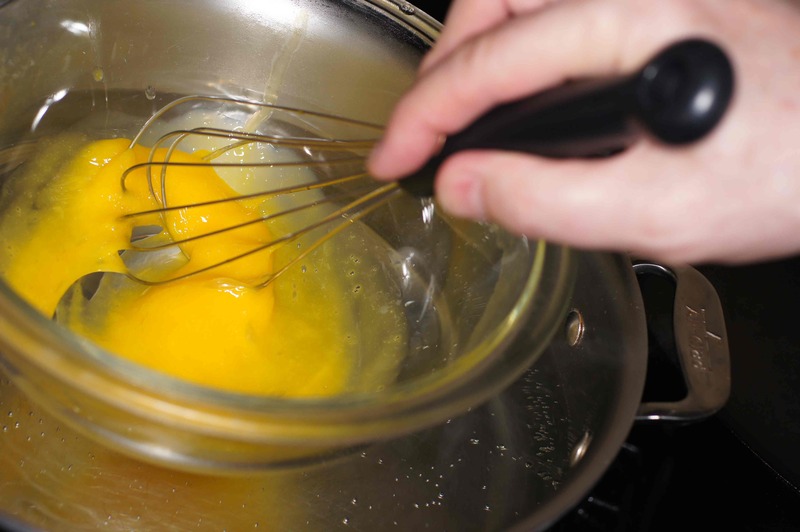 I have done this so many times that I know what I want so I heat the water to roughly 185 F and then set the bowl with the egg yolks into the water and rapidly whisk to keep the eggs from cooking to scrambled eggs. You want to heat the eggs and cause them to thicken slightly. 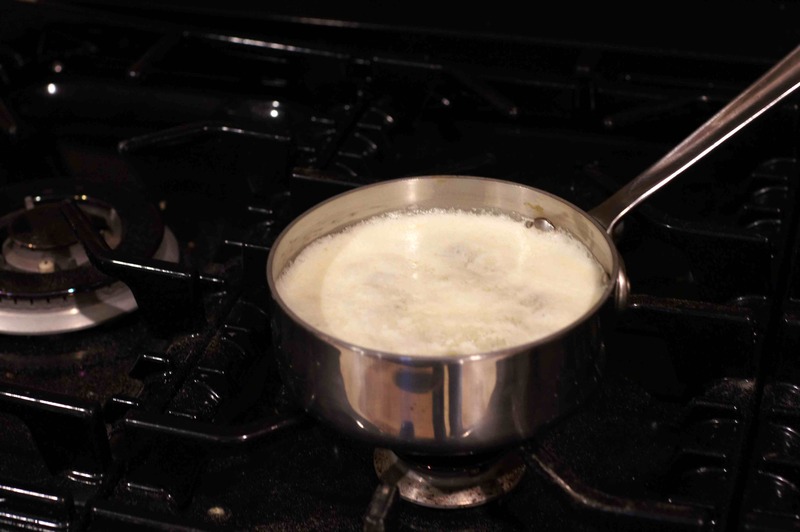 When slightly thickened remove from the heat and continue to whisk as residual heat will continue cooking the eggs. 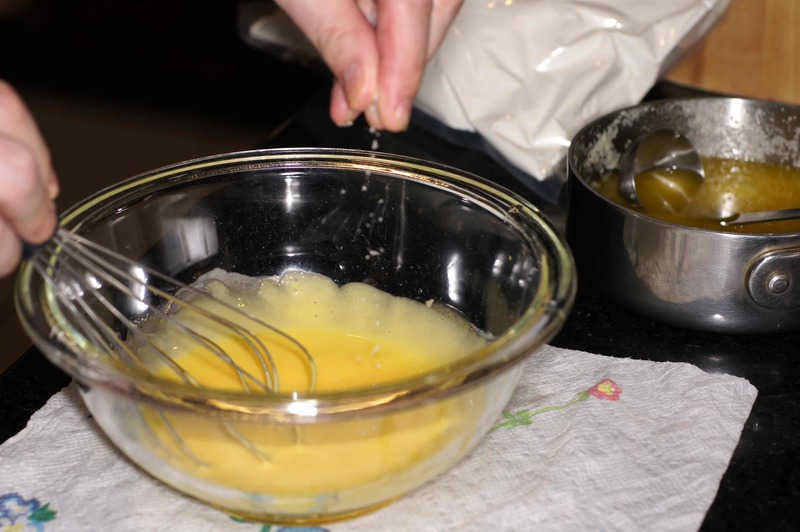 Now drizzle the clarified butter into the egg yolks to create the emulsification being careful not to break the sauce. Whisk, cover and set aside until ready to serve. 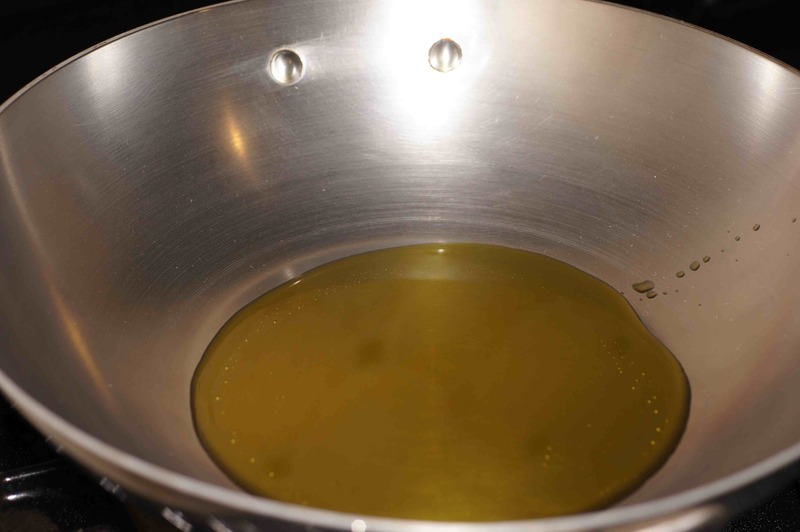 Add olive oil to the sauté pan over medium-high heat. 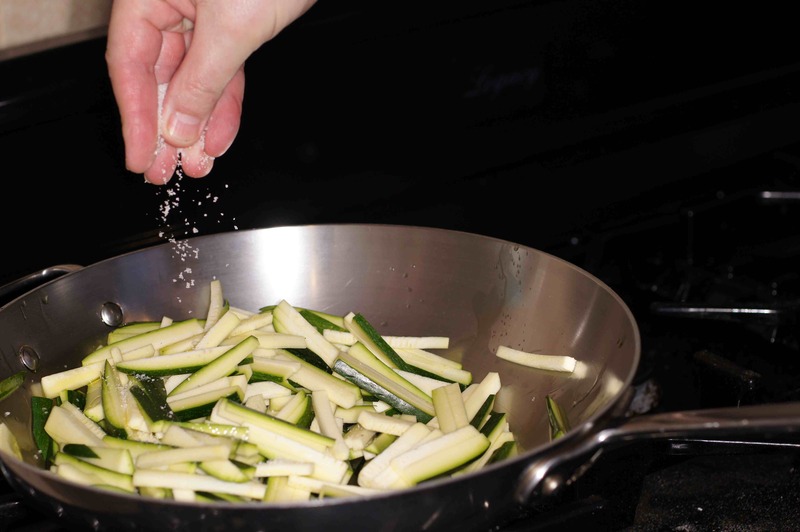 Sauté zucchini for 3 minutes and add the charmoula. Sauté another minute, cover and set aside until ready to plate. 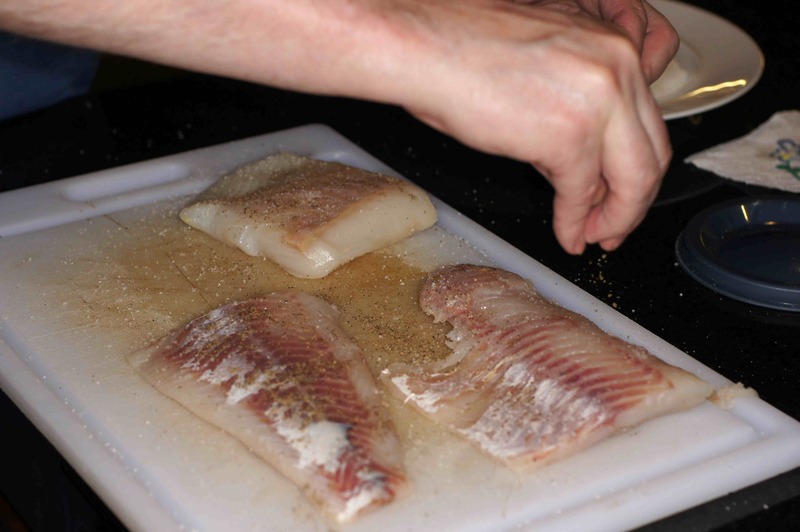 Season the walleye with salt and pepper on both sides. 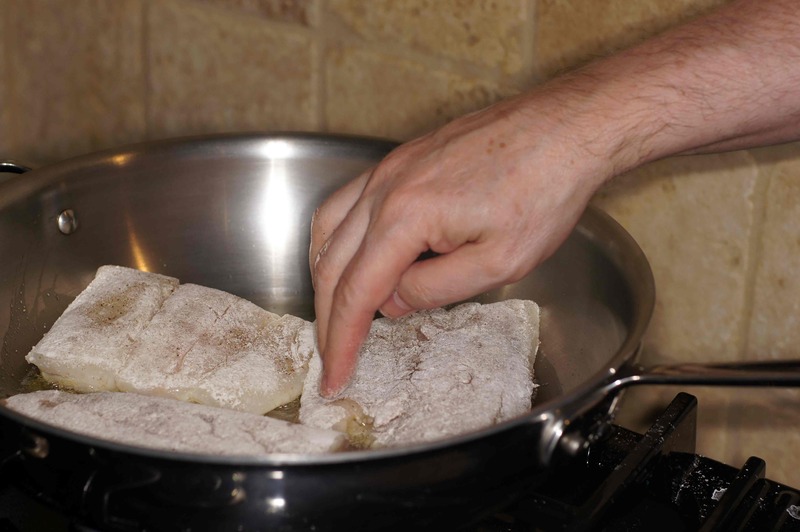 Dredge the walleye in rice flour. 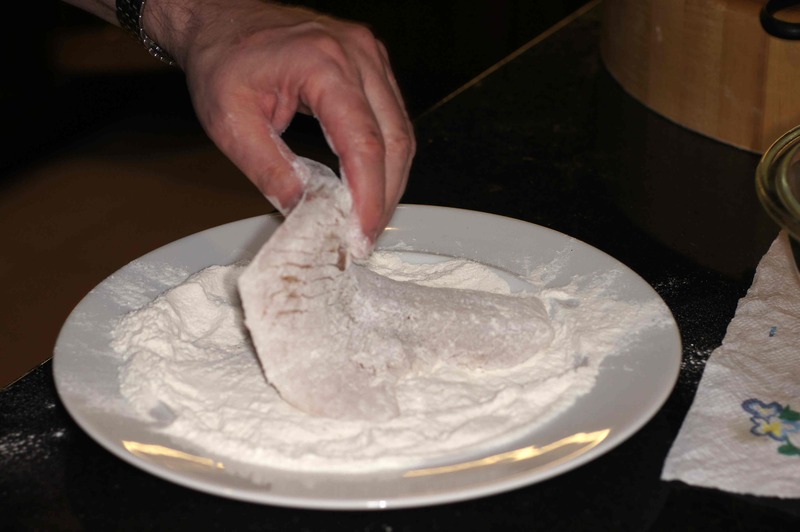 Cook for 2 to 3 minutes until flour has formed a nice golden crust and turn. Things got a little hectic and somehow we missed the turning shot. Oh, well. Use your imagination. 🙂 Cook an additional 2 minutes and place on a dinner plate. Sprinkle a little cayenne pepper over the hollandaise sauce. When I saw the title I was curious how you’d make the hollandaise. Is there a reason why it’s better with clarified butter rather than regular butter? 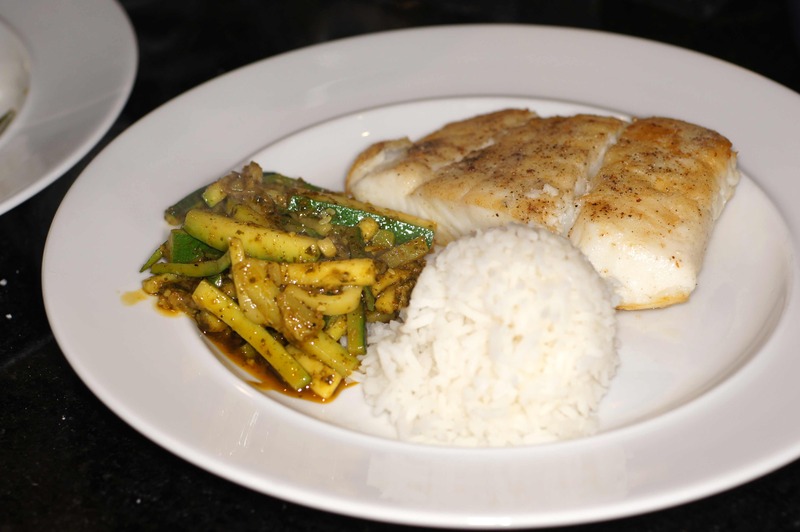 Lovely dish: simple but with lots of flavor! Walleye is a strictly North American fish, I think the closest I can get around here is zander/pike-perch. Hi, Stefan. Thanks for the nice compliment. 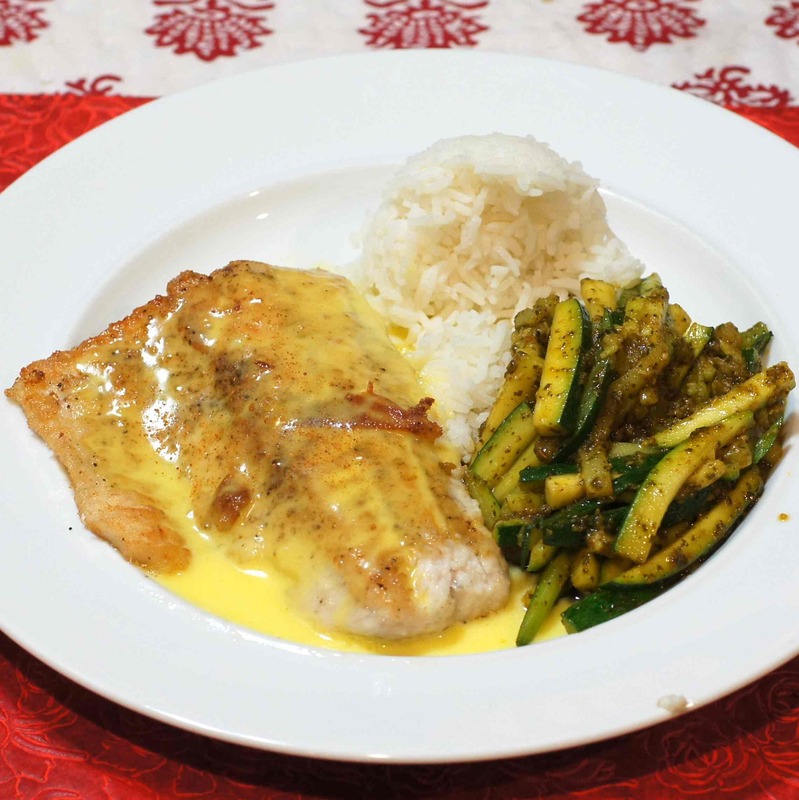 You can use almost any type of white, flaky fish in this recipe. I had some walleye in the freezer so it made the choice very simple. Insofar as the hollandaise is concerned, I use clarified butter primarily because it is the way I was taught many years ago. I have made so much hollandaise over my life I can almost do it in my sleep following this methodology. Second, I don’t like the water and milk solids in the regular butter. Although regular butter works, I simply prefer clarified butter. I had a hunch you’ve had a lot of practice, because I’m also pretty certain that practice is required to get it right using this method. I stopped using the blender because it was too messy, and have now found an even easier ‘foolproof’ method.